Complimentary valet parking is available during dinner hours. There are also paid parking lots around the area. 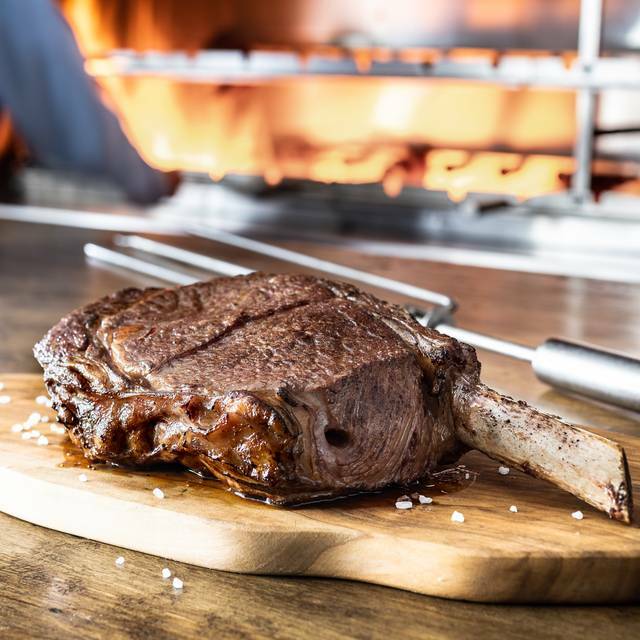 Join us at Fogo de Chão® Denver as we embrace Colorado's rich cowboy heritage along with thier love for cuisine cooked on the open range. Our Gaucho chefs bring their Southern Brazilian tradition for this style of cooking to the Lower Downtown Historic District, LoDo. Fogo de Chão is an authentic Brazilian Steakhouse (Churrascaria) that has been setting the standard in Brazil for the past 36 years. 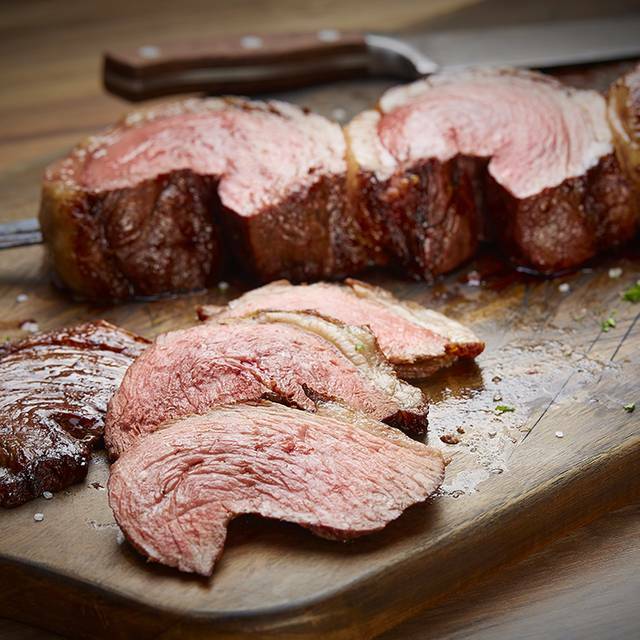 Today, our gaucho chefs still expertly grill and carve tableside each of our cuts of meat like Picanha (signature sirloin), Filet Mignon, Ribeye, Fraldinha (Brazilian sirloin), Cordeiro (lamb) and more. In addition to the main dishes, enjoy our gourmet Market Table, authentic Brazilian side dishes, and award-winning wine list. Guests can also choose to enjoy lighter seafood selections or enjoy the gourmet Market Table only option. Overall the food was good, it just took awhile to get the cuts of meat we wanted. Had to ask for the lamb 4 times and it seemed like they were trying to upsell us more in other items then take care of what we wanted. Over all a bit disappointed the service but the lamb was good when it finally came around. Waitstaff was very attentive. We really enjoyed having dinner. Salad bar had a lot of options and we tried all the meat options. We always have great service at this location! The food is fantastic! Cannot wait until next time! Daughters bday. Had a great time. There are several Brazilian steakhouses in the Denver area, and Fogo de Chao is the benchmark! Food and service were outstanding. Bring some friends and an empty stomach! We never really had a waiter. He left after a couple times to the table where we continually had to ask for what he forgot. Then we had about 5 or 6 people trying to randomly take care of us. Bringing us the desert menu when we had just started the meat. They were confused. We did get there around 4pm so maybe between their shifts. The food was excellent though. What a lovely dining experience. One of our party has a food allergy and the staff made she she had a list of ingredients of everything brought to the table. They also modified some things so she could enjoy. The manager was especially attentive, which is VERY Brazilian. He recommended a really lovely wine. Nice bar to hang out in. We will be back. Their salad bar wasn't as good as we remembered. We asked for a quieter corner table and received a corner table by the entry way into the dining room. We had to ask several times for the cuts of meat we desired. We've had much better experiences on previous visits. Fogo can be a little pricey, but what you get is always phenomenal. The full Churrasco is the way to go. They had seasonal dishes like Pork Picanha and Coconut Curry Soup that were new and delicious. Service was very attentive, and I love the fact that the restaurant design makes it so you can hear your companions in a conversation. The only small place for improvement was that we came at 7:30 or so on a Friday night for a reservation and were there until late hours and staff disappeared so we had to hunt our own coats from the coat check. It was a little odd that they sent folks home so early on a weekend and that there was no hostess at the front until closing hours. Good food, fun time, not the mood i was looking for; especially for the price. We used to always go to Rodizio for Brazilian but after visiting Fogo de Chao with visiting family, we've been fully converted. Fogo de Chao has a better and fresher salad bar, all the meat was delicious, and the service was amazing. I feel like we were often left waiting around for the meat we wanted at Rodizio but the servers at Fogo were always checking in with us and more than happy to go and find the meat selection I wanted and have it sent over. Fogo is the best and we will be back! You get a lot of food for the price, and the hosts and initial server were all very polite, accommodating and attentive. But as soon as we were done with the meat portion of the meal we were abandoned by our server for another server, without being notified and everything went downhill from there. Took forever to get our desserts and after dinner drinks, and they served us the wrong drinks than what we ordered. Then it took even longer for us to get a to go box for our dessert. So the meal started off well, but ended on a sour note. The quality of most of the meats were good, the sides were mediocre and some weren’t hot. The salad bar has a good selection. Overall, we won’t be back. One of my favorite places in Denver! Had to request a few specific things multiple times, but generally had a very enjoyable evening. Great place for a larger party and special occasion. Fogo does not let us down. I have been to several Fogo restaurants around the country and the parmesan pork (Lompoc) in Denver is the best I have had among all of them. Service was not ok. One person at my table asked for a coke 3 times and never brought back. Pork tenderloin was burnt and had a charred flavor to it. Was not impressed for spending over $200 for dinner. Manager never came by the table. Great service, great food. I would come again for a special occasion. Amazing experience at Fogo! Took a buddy there since we are both big steak fans. Service was really prompt and friendly. The food was just incredible! 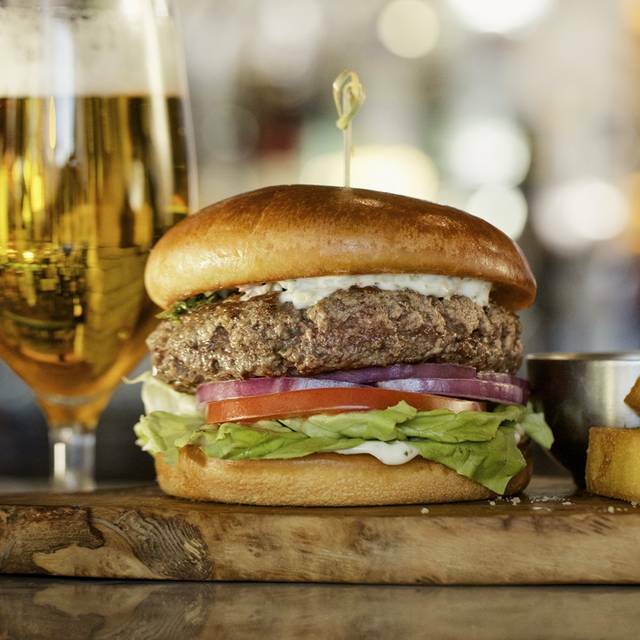 Stop what you are doing immediately and book a table. The quality of the meat was poor. My first time there and I was disappointed. It was jam packed and we were in a very small table that was very close to the next table over. The salad bar was good as well as the sides but I expected more from the meat options. First waitress got us drinks and took order. Never saw her again. Had to ask another person for service. He brought us more drinks. Had to ask third person for more service. She helped the remainder of meal. Steaks were all difficult to chew. Love the market salad bar! Restaurant is B minus. People dressed everywhere from sloppy to very nice. Servers are pleasant. Better & more romantic places for a date night. This was my birthday dinner celebration huge table reservation. We had just had a big snow. The Sidewalks were not Shoveled At All. The entrance was a huge disgusting dangerous puddle. The bathrooms were freezing cold and dirty. If i visited the bathroom before i had my meal, i honestly would've left! All the food was delicious. There were enough options at the side dish bar for anyone who doesn’t want to eat meat, and there is meat cooked for everyone who wants it rare to well done. If I had to give an area for improvement, it would be in the way they handle the 5280 restaurant meals. When making the reservation we were told we had to mention it in order to get the special pricing, which I did, but when we got there, the waitress made no mention of even having the option for a restaurant week deal. When I asked about it, she seemed annoyed and disappointed, and explained to us that we would get less meat options and seemed to discourage us from choosing it. We did it anyway and had plenty of food to choose from, and it was a good deal, but I felt uncomfortable as though the staff didn’t like people coming in for restaurant week. I would go back, even for full price. I’m glad I was able to try it when it was a little less expensive because I probably wouldn’t have tried it otherwise, since I assumed I wouldn’t like the food as much as I did. I thought it was going to be all meat (with few non-meat options) and I thought all the meat was going to be served rare. But now I know, so I’ll be back. Great experience....great food...2019 Restaurant Week! Experience was AWESOME! One to remember! The waiting was a little overwhelming and Very busy. But one we were seated it was Wonderful. Management and service was very good. We went for restaurant week and they offered us free dessert. It was a great time. We go once a year with a group of friends. This year they seemed to just stop serving us and getting any further delivery of meats was impossible. Not saying it wasn't for the better but the options is preferred when going to an all you can eat steak restaurant. Service was way below what I anticipated. We had excellent service, even with the restaurant packed with amateur diners due on Denver Restaurant Week. They were out of many wines, but the manager substituted at an agreeable price. Some at our table were offered free desserts to make up for some server errors. Overall, very enjoyable and great quality food. Celebratory and fun environment! The other location in Lone Tree has higher quality, better tasting meats and the service is more tentative. We often found ourselves having to wait for meats and for the server to come around for drink refills. If you can help, go to the Lone Tree location instead ! This was our first time to Fogo... we have gone to Rodizio in the past. We came for Denver Restaurant week and ended up getting charge the regular price of $52.95 pp instead of the $35pp. When I called the manager after we got home, I was told to either come back that night (10:30p) or the next day (longer refund process) and that I should have paid better attention to the receipt. NOT very helpful and he couldn’t do anything over the phone. Turns out that the server swapped our initial round circles for hearts which indicated we were full menu and not restaurant week menu. When I asked the server why he swapped them, he said because it was February and they were leftover from Valentine’s Day. SNEAKY!!! Turns out that when my daughter took time away from work to manage the refund, my CC info was written down which could have all been done on the phone. Grrrrrr!! !